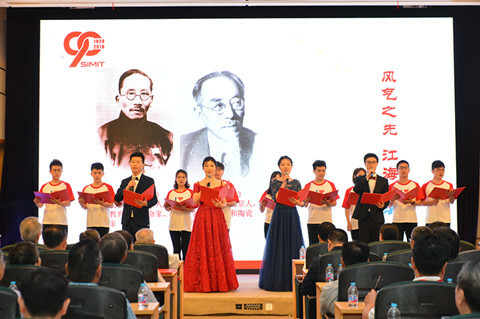 20/07/2018 is the 90th Anniversary date of Shanghai Institute of Microsystem and Information Technology (SIMIT), Chinese Academy of Sciences (CAS). To honor the glorious history and memorize those who devoted their whole academic careers to scientific research, SIMIT held an 90th anniversary symposium. The directors of CAS affiliated institutes and government officials have sent congratulatory letters. Prof Shi Erwei, the former vice president of CAS, Liu Yan, Secretary of the Party Committee of the Shanghai Science and Technology Committee (STCSM) and other guests have delivered warm remarks. 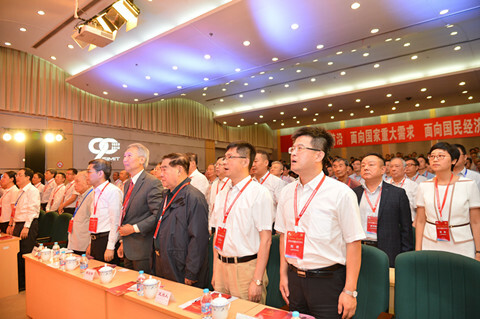 Yu Yuehui, Secretary of the Party Committee of SIMIT CAS, presided over the symposium in the morning. 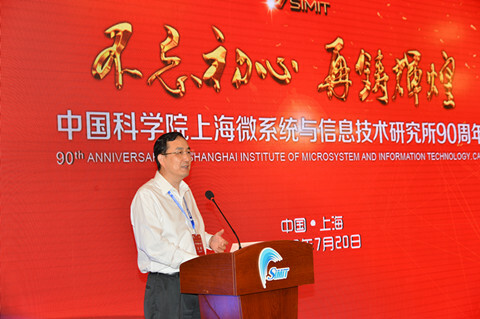 Wang Xi, Director of SIMIT reviewed the 90-year-history of SIMIT CAS, and expressed sincere thanks to all the guests. Liang Wenxu, vice director of Innovation Academy for Microsatellites CAS delivered a congratulatory message. Afterwards Dong Junshe, Vice-Chairman of University of Chinese Academy of Sciences, and Wang Xi jointly unveiled the SIMIC Education Fund. Later a Strategic Partnership Agreement was signed by SIMIT CAS and CAS Holdings. Later, the four directors of SIMIT CAS were interviewed. They looked back the significant moments during their tenure, and emphasized on the frontiers of science, national priorities, and economic development, which are the missions for scientists, and are committed to achieving breakthrough developments in science and technology. Meanwhile, they all appreciated the spirit of devotion among the older generation of SIMIT scientists. Jiang Mianheng, former director of SIMIT, president of Shanghai Tech University, said that “we must take the unprecedented opportunities when facing challenges. The 90th anniversary was a starting point, the glorious tradition of the older generation of SIMIT CAS scientists should be kept, and we should continue to pursue truth to make breakthroughs in major fields of science and technology, and contribute more to build China into a science and technology giant.” Wang Xi suggested that we should strive forward, take the responsibilities and make brilliant contributions to the development of national science and technology. 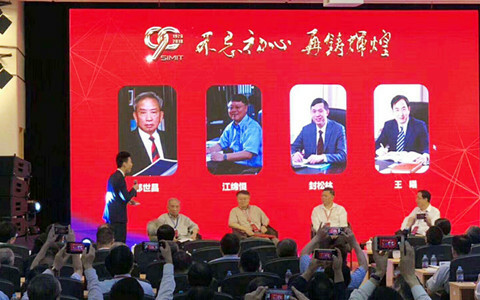 Liu Zhenyuan, former deputy-mayor of Shanghai and vice-director of SIMIT CAS, the representatives from universities, government, well-known hi-tech enterprises, the collaborative innovation systems of SIMIT CAS, together with the postgraduates, alumni attended the symposium. Prof Wang Xi presided over the symposium in the afternoon. Prof Hu Zhengming, a member of U.S. National Academy of Engineering delivered the keynote address “The Future of Microelectronics” focused on FDSOI, FinFET and so on, his talk provided valuable insights for the participants on the development of Microelectronics in detail. Liu Zhi, professor of SIMIT, delivered a lecture on Photon Science and its Application in Energy Materials. 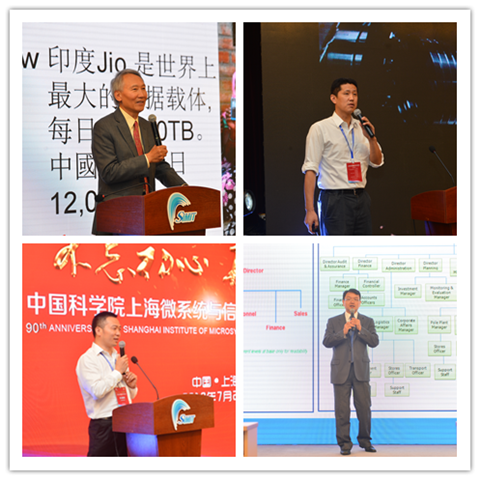 Prof Di Zengfeng and Prof Yang Yang were invited to give talks at the symposium.